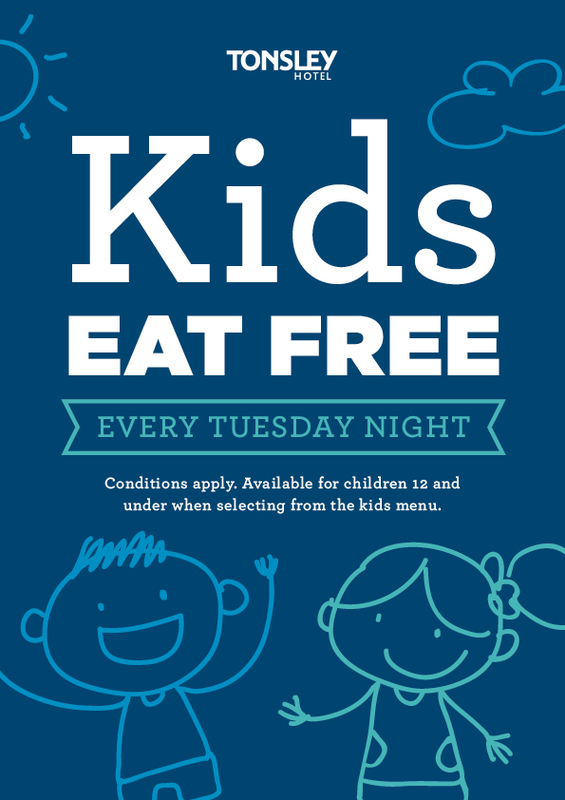 Kids Eat FREE every Tuesday night in the bistro. Conditions apply. Available for children 12 and under when selecting from the kids menu.